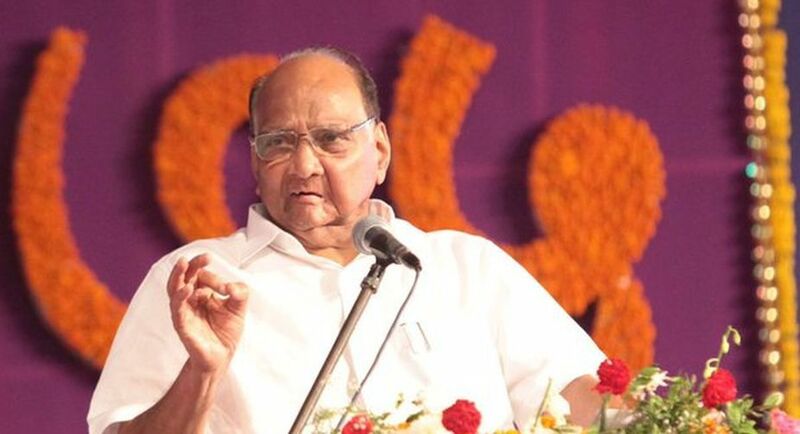 NCP chief Sharad Pawar on Tuesday exercised his franchise in a municipal ward where nine candidates are contesting and none of them belongs to NCP. Pawar, along with son-in-law Sadanand Sule and grand daughter Revati, voted here at a polling booth in ward no. 214, which comprises landmarks like the Mahalaxmi Mandir, Jaslok Hospital and the historic Gowalia Tank ground. There are nine candidates contesting from ward 214 in the Brihanmumbai Municipal Corporation elections, including those from Congress, Maharashtra Navnirman Sena and Shiv Sena. Arvind Bane of Shiv Sena, Dhanraj Sahadev Naik of MNS, Kaushik Jasubhai Shah of Congress and Sarita Ajay Patil of BJP are some prominent candidates in the ward, where the number of eligible voters is 60,236. Meanwhile, a 108-year-old woman voted at a polling booth in Fansavle village of Maharashtra's Ratnagiri district for the zilla parishad polls. The woman, who came to the booth with the help of a 'walker', along with three generations of her family, also appealed people to vote.